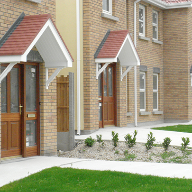 Stormking GRP roofline components offer the end user convenient off site products, with structural guarantees and alternatives to traditional building materials. 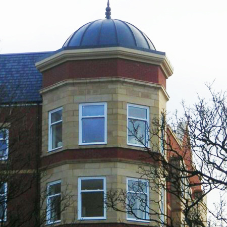 They include GRP dormer window roofs, GRP SmartSTACK chimneys, GRP COPEking and GRP Roof Towers. 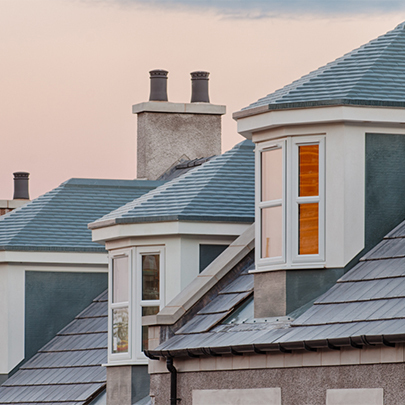 The Stormking GRP Dormer window roof, offers the builder a product that is lightweight, quick to install and virtually maintenance free and with BBA accreditation, give the builder whole life cost savings. 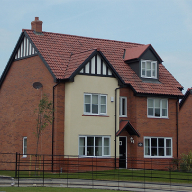 The Stormking GRP SmartStack dummy chimney enhances the appearance of any building offering the builder virtually maintenance free product, with a traditional aesthetic look, but with the added bonus of incorporating a GRP lead effect plinth box and lead flashing detail, saving you time and money with installation. The Stormking GRP CopeKing coping system is manufactured using the latest R.T.M. vacuum assisted technology. 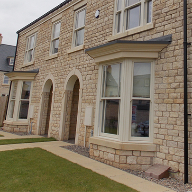 It is reinforced with dense foam and is completely finished with a reproduction stone appearance. 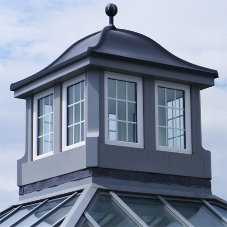 The Stormking GRP roof tower dovecote can enhance the appearance of any building offering the builder virtually maintenance free product, with a traditional aesthetic look.